Combine elegance and utility with a sleek, heavy-duty stainless steel step can. Foot pedal allows easy "hands free" operation. Piano hinge lid uses restraining mechanism to hold lid in place and prevent lid from traveling backwards. Retainer bands hold poly bag. Durable, rigid plastic liner adds strength. 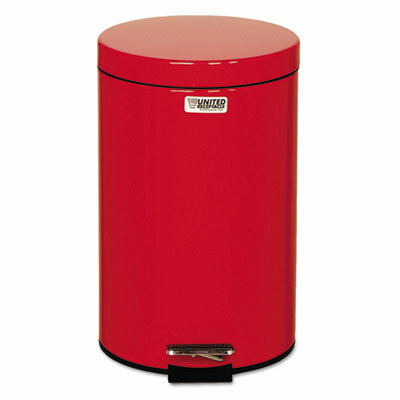 Waste Receptacle Type: Step Wastebasket; Material(s): Stainless Steel; Application: General Waste; Medical Waste; Capacity (Volume): 3.5 gal.